The story of Manfred von Richthofen, the German air ace during World War I and his struggle with the enemy aces and some jealous German officers. Mike: [cops are coming] Let's get out of here, Blues! Heavenly Blues: There's nowhere to go. "Wild Angels" was the first of the American International biker pictures, which were a drive-in staple of the late 60's and early 70's. Coming almost a generation after "The Wild Ones" these films were enjoyed by anyone who enjoyed a beer-assisted drive-in fantasy about being an outlaw biker for a few hours (they usually played as double features). It was a big game of lets pretend. 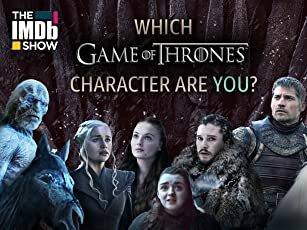 And like "Wild In the Streets" much of the appeal was the fear and disgust these things elicited from parents; as they were the only ones who actually took any of the stuff seriously. Many a Peter Fonda poster from "Wild Angels" went up on bedroom walls as parents pondered where they had gone wrong. The gang in "Wild Angels" did not wear Hells Angels colors, they were "Angels-San Pedro" although some Hells Angels from the Long Beach chapter actually appeared in the film. 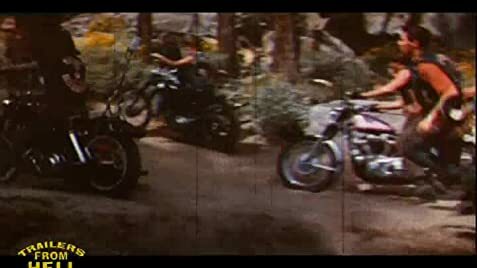 AI's biker films had very colorful titles and often mentioned Hell or Angels in the title: "Devils Angels", "The Born Losers", "The Savage Seven", "The Mini-Skirt Mob", "Angels from Hell", "Hells Angels 69", "Hells Belles", and "The Hard Ride". 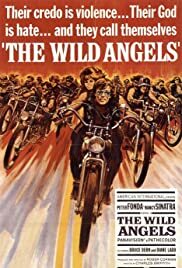 "Wild Angels" was ground-breaking stuff when it was released and featured more Nazi stuff than the later films because once the surfers adopted the Iron Cross it was no longer cool. It broke the outrage meter with its finale as the funeral for The Loser (Bruce Dern) turned into a gang-bang of his widow (Diane Ladd), the destruction of the chapel, the assault of the minister, the abuse of the corpse, and a rumble with the outraged townspeople. And throw in some drug use. Roger Corman's direction is his most active ever, and the editing by Monte Hellman keeps the pace moving along. You don't notice until it is over that very little actually happened. Fonda is super cool and Nancy Sinatra is unintentionally hilarious. Michael J. Pollard and Gayle Hunnicutt are instantly recognizable in supporting roles. Mike Curb's score is high-lighted by Davie Allan and the Arrows' hit "Blues' Theme."